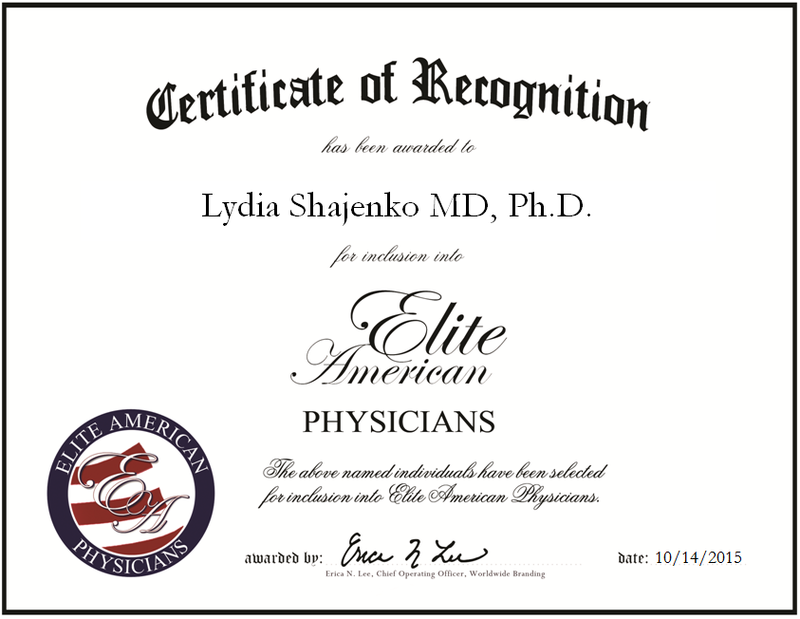 Edgewater, NJ, October 14, 2015, Dr. Lydia Shajenko, Neurologist for Clinical Neurophysiology, PC, has been recognized by Elite American Physicians for dedication, achievements and leadership in neurology. A board-certified neurologist and clinical neurophysiologist, Dr. Shajenko brings with her more than 13 years of professional experience and insight to her industry. 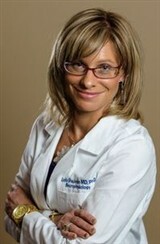 Currently, she serves patients at Palisades General Hospital in North Bergen, NJ, and Holy Name Hospital in Teaneck, NJ. Highly regarded for her expertise in a number of medical arenas, she regularly sees patients suffering from migraines, epilepsy, carpal tunnel, neuropathy, back pain and more. Dr. Shajenko utilizes the latest advancements in medical technology to treat patients, including videonystagmography, vagus nerve stimulation, electroencephalogram and electromyography. Dr. Shajenko completed her education at the University of Connecticut Health Center in Farmington, CT in 1997, where she received an MD and Ph.D. Her doctorate work involved studying the neurotoxic mechanisms of amyloidal beta-peptide in Alzheimer’s disease. Thereafter, she completed an internship in general surgery and neurosurgery at the Medical College of Virginia, followed by a residency in neurology at Mount Sinai Medical Center. Finally, Dr. Shajenko completed a fellowship in clinical neurophysiology at New York University in 2003. She has been in practice ever since. In recognition of her professional excellence in her career, Dr. Shajenko was named Compassionate Doctor and she was selected for inclusion into Worldwide Branding’s expert resource publication. As she looks to the future, Dr. Shajenko plans to continue offering quality medical care to patients experiencing neurological disorders in the New Jersey region. This entry was posted in Neurology, Neurophysiology and tagged Back Pain, carpal tunnel, clinical neurophysiologist, electroencephalogram, electromyography, epilepsy, ideonystagmography, migraines, neuropathy, patient care, vagus nerve stimulation. Bookmark the permalink.